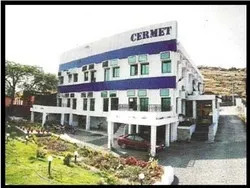 Established in the year 2000, we "Cermet Resistronics Pvt. Ltd" is a forerunning concern engaged in the domain of manufacturing and exporting a wide assortment of electronics and electrical grade resistors. we are the only manufactures of High Value Resistors, Metal Glaze Resistors, Metal Film Fusible Resistors, Metal Oxide Resistors, Carbon Film Resistors, Thick Film Metal Oxide Resistors, Metal Film Resistors, Aluminum Housed Wire Wound Resistors, Wire Wound Resistors, Fusible Wire Wound Resistor, Tubular Thick Film Resistors, Thick Film High Voltage Resistors, Flat Resistors, High Voltage Resistors, Discharge Resistors, Zero Ohm Resistors, Industrial Power Resistors, Electrical Load Bank Resistor, Neutral Grounding Resistors etc in India. We are a Rohs compliant company that is instrumental in catering to the needs of varied application areas such as high voltage & high mega OHM, current sense & shunts, fusible wire wound, network, precision metal film & metal glaze resistors. With our profound research & development, we are able to cater to the exacting needs of our clients across the globe. The company is operating under the supervision and guidance of "Mr. P.N. Khadilkar (Managing Director)" who is a qualified electrical engineer the manufacturing of electrical and electronic resistors. His support helps us in serving the needs of the sensitive defense requirements and progress towards manifold development. With a growth rate of 40% every year, we are thriving in our field and have garnered the prestigious approvals and accreditations of Defense Standard, LCSO, ERTL (W), BARC, BEL & Rohs compliance. We export our product all over the world like Germany, Brazil, Rasiya etc. We have developed a fully equipped R&D department that aids us in undertaking various experiments and tests for our product development activities. Our R&D department is manned by expert industry researchers who work upon sophisticated equipment and instruments to congregate relevant information regarding electrical resistors. Owing to our industry specific R & D activities, we have been able to develop several special types of resistors that are widely accepted by many user industries. With extreme focus on technology, design, user-friendliness and performance, we carry out our R&D activities and based on the feasibility, these aspects are upgraded in our resistors from time to time. We also develop newer designs and models of our resistors based on these factors. 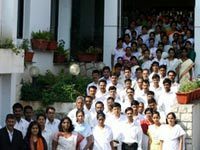 We are bestowed with one of the best quality control (QC) labs in India that various other prestigious standards. 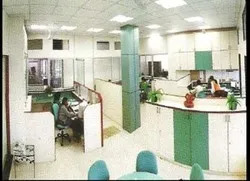 Manned by more than 11 engineers, our QC lab is equipped with modern testing equipment that assists us in testing our range of resistors with complete efficiency and without any deviation. With complete surveillance throughout the manufacturing processes, we undertake various tests on our end range to ensure that these are of unmatched quality. Besides maintaining unsurpassed quality standards in our processes as well as our end range, we also undertake qualitative packaging of our consignments. 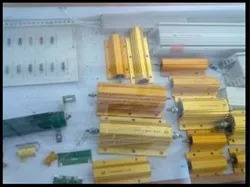 We make use of corrugated boxes, cartons and sheets for assuring tamper proof packing of our resistors. We hold the cream position in the resistor manufacturing market as we offer the most comprehensive of resistors. We are in the process of developing special purpose resistors and automotive components for fan blower assembly, fuel indicator and air conditioners. Our vision is to manufacture Specialized Power, Al. housed and High Voltage Resistors with / for major European and U.S. companies. We envisage promoting our resistors for special applications such as H.V. capacitor discharge, automobiles and drives. Our diversification is aimed towards the production of specialized plastic film or film foil capacitors. These expansion and development plans are centered towards exploring newer markets all over the world in coming next few years. In the coming three years, we strive to cover the global markets massively and grow from current 5% to 50%. We are engaged in the manufacturing of a qualitative range of electronics and electrical grade resistors that find wide application in engineering and process industries. Our resistors are in compliance with Rohs. Customized as per the specifications of our clients, our range also Comprises Fusible Film, Fusible Wire-Wound Resistors, High Precision Metal Film Resistors, High Precision Shunts, Current Sense Resistors, Spark Suppressor Resistors, Pure Non-Inductive Resistors, Thick Film High Voltage Resistors, Networks, Arrays & Dividers, Surge Protection Metal Glaze Resistors, Silicon, Axial, Metal Oxide High Voltage High Meg Resistors and Aluminum Housed, Dynamic Breaking Resistors & Load Banks. We Make Use Of Irv, White Ceramic Rods, Epoxy And Tape Jumpers(Zero Ohm Resistors). With our profound industry experience and quality-based range of resistors, we are able to meet the exacting requirements of our clients from India. For delivering our range to every nook and corner of the globe, we have developed amicable relations with our distributors. Our wide distribution network includes some of the reliable names of the industry and is strategically located to meet the requirements of our clients. We are backed by 100 member team that is a blend of young and experienced professionals who work shoulder to shoulder to give our company, the leading edge over other companies. A force to reckon with, our team has been continuously contributing towards the development of machinery and processes and streamlining our procedures for manufacturing our range of electrical resistors. Our team comprises well-informed advisors of the Doctorate level, engineers, technical experts, R&D professionals, QC professionals and skilled workers who work under the close supervision of our experienced management. Our team works with zeal to match the towering quality standards of the industry and is efficiently carrying out our legacy of three generations. Our comprehensive assortment of resistors is designed to suit the diverse requirements.